HOME /Blog /How can you keep your child occupied on weekends? Children grow fast, right before our eyes. They change constantly and with these changes come new interests. At times, it may seem challenging to keep up with your child’s rapid development and find an activity that would spark his interest, motivating him to spend weekends with the family. 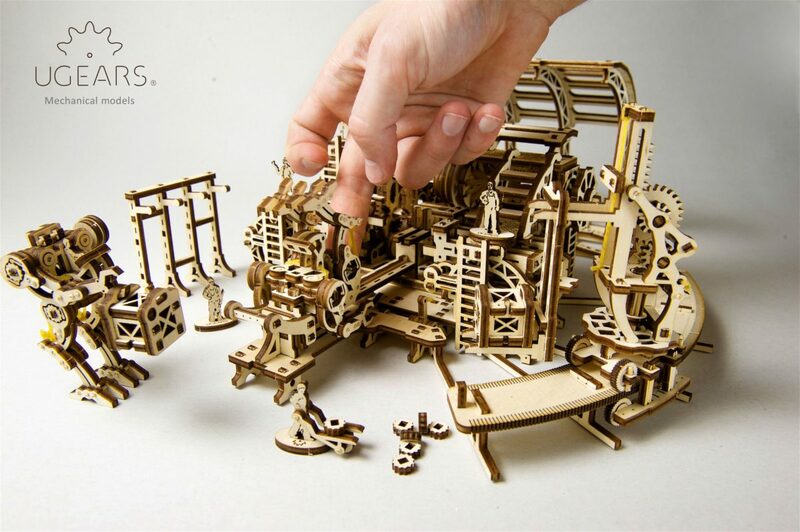 Here, at Ugears company, we have a perfect solution! Let us introduce a mechanical assembly model, “Robot Factory”. 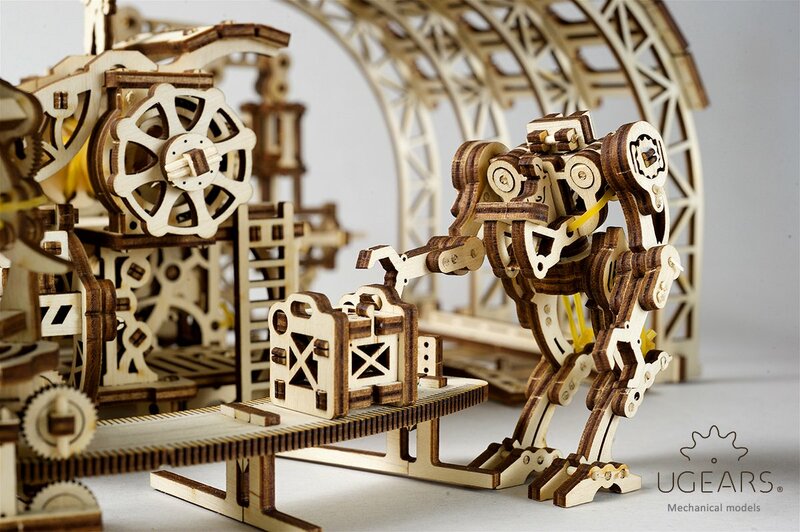 Made with natural wood, it consists of 598 parts and is assembled without glue, and you can buy “Robot Factory” here. The featured mechanical model is appealing for any child and may become an ideal solution for a family weekend together. Assembly of each model requires coordinated teamwork that will bring kids and parents together! “Robot Factory” is rather complex and requires perseverance, patience, attention, as well as fine motor control. That’s why the process will be enjoyable for both children and the older generation. Engage the entire family by assigning tasks according to abilities and interests: rely on mom for studying the instructions. Let dad carve parts out of a board, and designate exciting and easy tasks of putting parts together, to the children. The assembly of such a model is quite complicated, nonetheless, with an effective combined effort from each family member and great team work, it can be constructed in about 10 -12 hours. 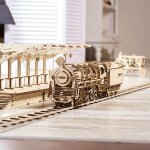 What an exciting project that will keep your child busy for the entire weekend! Just imagine the delight of completing a sophisticated model with such a complex mechanical factory, equipped with assembly lines, exo-loader, factory worker and many other small, yet exciting details. 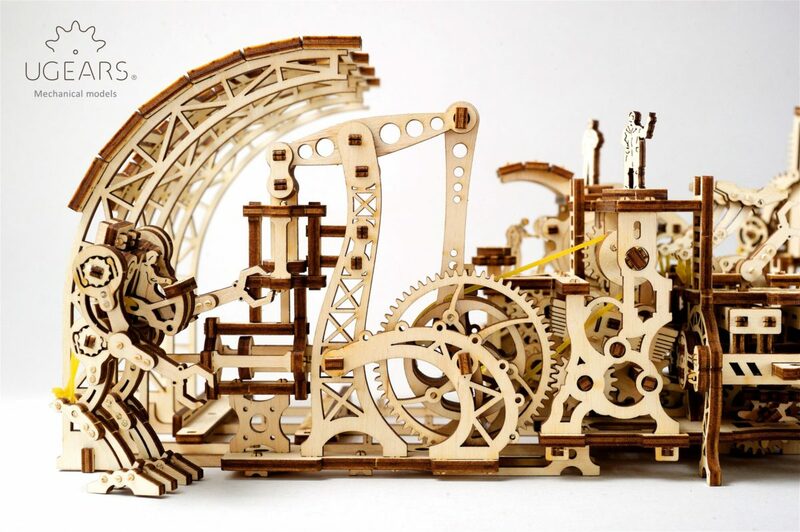 Although the most thrilling part is that all elements are set in motion with a rubber band drive, allowing the model to come to life right before your eyes! And even after the model is assembled and fully-functioning, it will continue to amuse you and your kids, as you play together with its real life-like mechanical robots and industrial machines. Along with “Robot Factory”, we offer a large variety of other mechanical models for kids and adults right here.